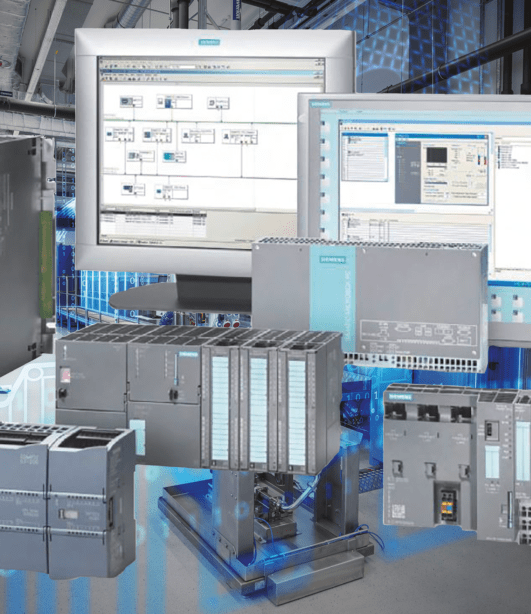 We repair and test programmable logic controllers and operator stations. Repairs include upgrades, with the aim of restoring the original MTBF. Testing and debugging of all repaired products, including electronic, automation and communication constraints, etc. TOR I/O logic controller card: Test programming / Inductive Load. ANA I/O logic controller card: Test programming / Linearity isolation / Stability precision O-10V – 4-20 mA. CPU logic controller card: Test programming / Cycle time / Memory. COM logic controller card: Test programming / PROFIBUS DP / ETHERNET / DEVICENET / PN. Smart logic controller card: Test programming / Measure temperature / Measure weight / Graphics card / Axle card, etc. Operator workstation: Changing flexible keyboard / Testing graphical functions / Test RAM/storage, etc. Testing is supervised by our power electronics experts. Our engineers and technicians provide you with local solutions in the area of repair and intervention. All these tools, combined with technical expertise in electronics as well as electrotechnics, automation and digital control, enable us to guarantee that a FUNCTIONAL PRODUCT will be returned to you. Diagnostic intervention in support of your maintenance department. 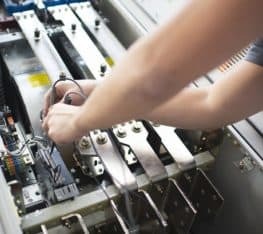 Experts in motion control, drive, large drive and CNC solutions, we provide a high technical expertise that is locally available to the customer. Repair procedures including electronic and electrotechnical constraints. All repairs are tested and guaranteed. Technical diagnosis to help identify the origin of the defect. Economic benefits: save up to 50% of your repair costs. Aligning our expertise in repair and industrial processes, and bringing our decentralised services as close as possible to the customer, ensures the same quality of service throughout the country while maintaining local contact and availability.